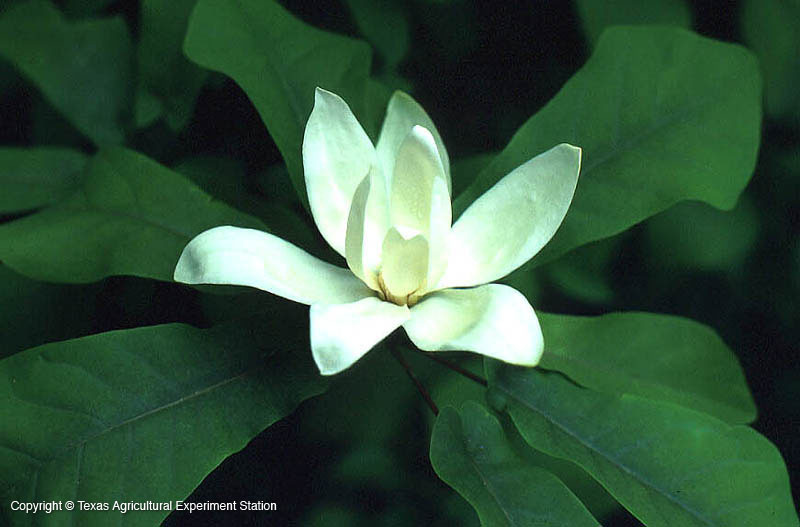 Pyramid magnolia is an uncommon tree, and in Texas is restricted to the eastern counties of Jasper and Newton in deeply wooded sandy ridges. 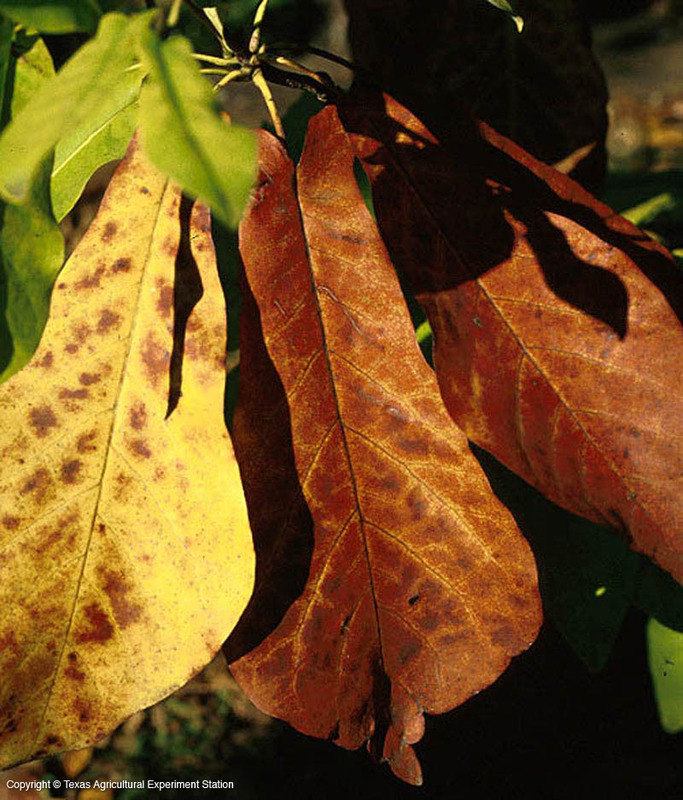 You can tell it from southern magnolia and sweet bay by the deciduous leaves, about 9 inches long and 4 inches wide, with earlike lobes at the base and whorls around the stem. 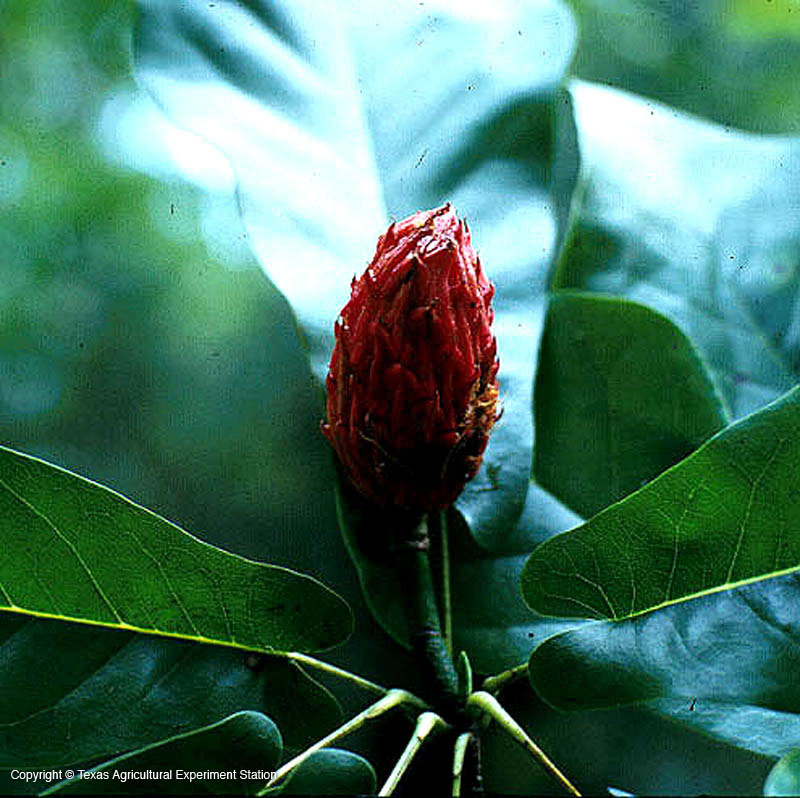 The terminal flowers are white and fragrant and the rosy-red seed pods are two and a half inches long. 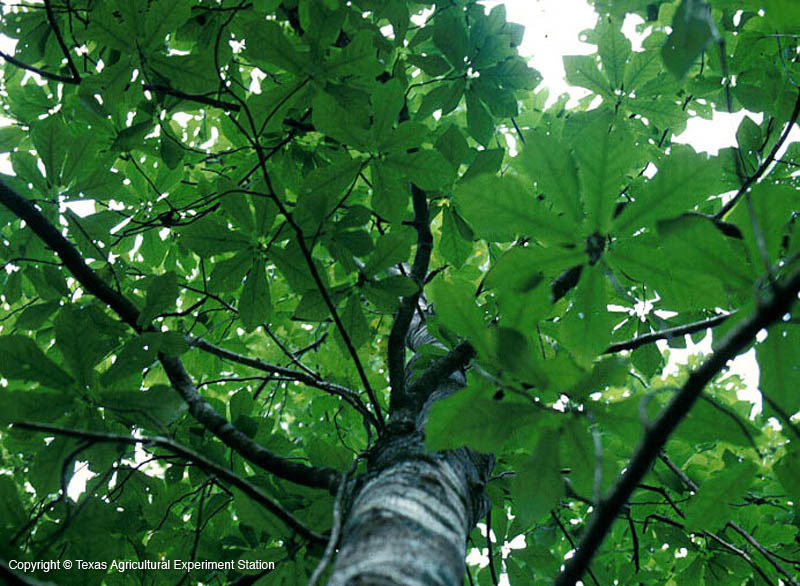 To grow successfully it needs acidic, sandy, moist soils and lots of shade.